Melon giving is seen as one of the most generous gifts in Japan. Japanese melons are also one of the most expensive fruits in the world. Luckily, the lovely Japanese melon flavor can still be enjoyed in ice cream. (For a lot less money!) Here's a recipe inspired by Reve de Chef. Scoop out the inside of a Sugar Kiss Melon (or your favorite melon.) Discard the seeds. Save the melon juice. With a melon scooper, scoop out Sugar Kiss Melon balls. Sprinkle with lemon juice. Discard the seeds and scoop out the Honeydew Melon with a melon scooper. Save the juice. In a blender, combine the remaining 2½ cups of vanilla ice cream with 3 tablespoons melon juice and 5 tablespoons of melon balls. (Less than 30 seconds.) 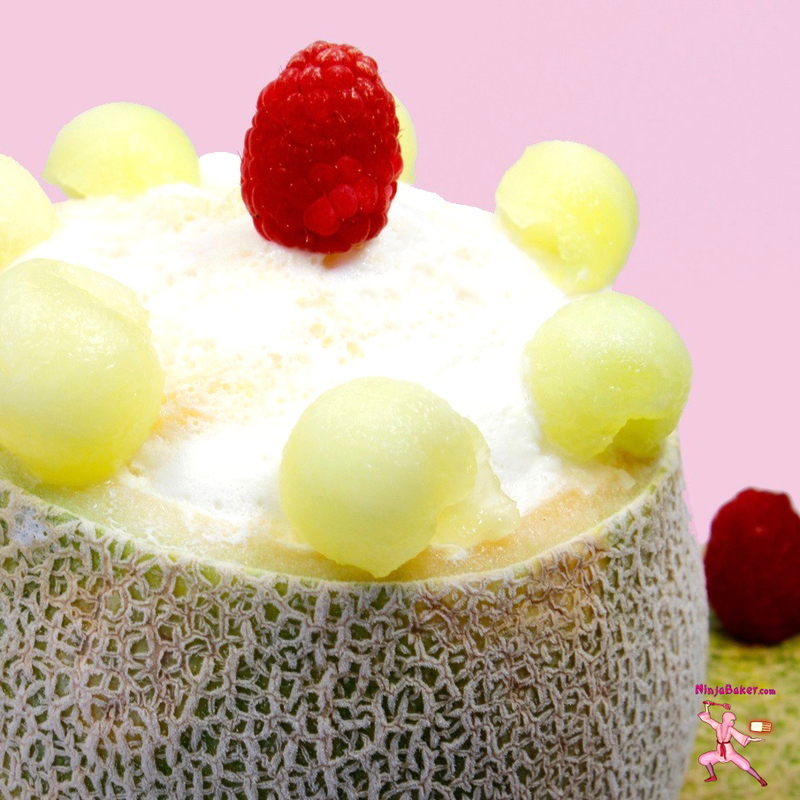 Pour the melon ice cream into vanilla ice cream lined Sugar Kiss Melon. Freeze overnight. Garnish with melon balls and raspberries.